is elated to Celebrate the Life of this powerhouse woman leader, one that has taken on the challenge to lead the way, through Girls Inc. in bettering the lives of all women, by developing future women leaders. Judy Vredenburgh is President and CEO of Girls Inc., the nonprofit organization that inspires all girls to be strong, smart, and boldSM. Girls Inc. life-changing programs and experiences are delivered through a network of 89 affiliates to help girls navigate gender, economic, and social barriers. Girls Incorporated has local roots dating back to 1864 and has been nationally recognized since 1945. 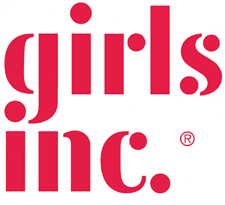 Girls Inc. has a network of local organizations in the United States and Canada. Chapters are available in all 50 states and the Canadian provinces of Alberta and Ontario. The majority of Girls Inc centers are found in low income areas. The Girls Incorporated movement started in New England during the Industrial Revolution as a response to the needs of a new working class: young women who had migrated from rural communities in search of newly available job opportunities in textile mills and factories. The oldest Girls Incorporated affiliate, formed in 1864 in Waterbury, Connecticut, provided programs not only for young working women but also for younger daughters of mill families who had no place to gather but in the city streets. Other early centers followed the same pattern, and girls flocked into their homelike atmospheres at a time when wages were low and wage earners had little to spend for recreation. At Girls Incorporated centers, girls gave plays, made their own dresses and hats, danced and made lasting friendships. In the mid-1930s, Dora Dodge, executive director of the Worcester affiliate, published an article in a national magazine, which pointed out the growing needs of girls in the congested areas of American cities. Questions poured in from people who had been aware of the problems of girls in their own communities. So Ms. Dodge invited other directors of similar organizations in Pittsfield and Springfield to talk over common problems, discuss ways of bringing about better programs and facilities, and to create publicity that could strengthen all girls’ organizations. 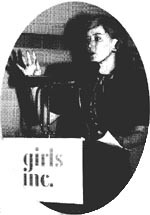 Through the member’s continued efforts, representatives of 19 interested organizations met in Springfield on May 18, 1945 to form Girls Clubs of America. Total assets of the fledgling organization were $72.64, and its headquarters was the guestroom of the founding president, Rachel Harris Johnson of Worcester. From its beginning, the national organization had two major concerns — to exchange information on programs relevant to girls and to help communities establish new centers. Programming in the early days was focused on recreation and on preparing girls for their future roles as wives and homemakers. Every local organization had courses in cooking, sewing, knitting; some offered dramatics and swimming. The organization’s first national award, established in 1952, was “Young Homemaker of the Year.” In 1955, John H. Breck, Inc. funded the publication of the Handbook of Charm. Topics included care of the hair, skin, eyes, hands and teeth, how to improve posture, and a charming wardrobe. Girls Inc. join in efforts with partner companies that help create positive change for women. The companies do this through selling jewelry to raise money or simply giving donations. Some of Girls Inc.’s partner companies include Dove, ABC Family, Business Wire, Motorola Foundation, Annie E. Casey Foundation, and Eileen Fisher. In September 2006, Warren Buffett auctioned his Lincoln Town Car to support Girls Inc. The vehicle sold for $73,200 on eBay. 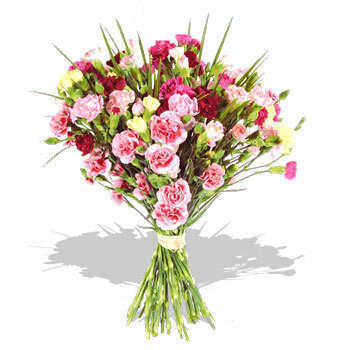 Today they have many facilities all over the world and are being recognized. Michelle Obama is an honorary board member. Judy joined Girls Inc. in 2010 and is leading a charge for strategic growth. Under her guidance, the organization is undertaking a five-year plan to help more girls, especially girls from low-income communities, grow up healthy, educated, and independent. Judy began her career in the retail industry, rising to CEO of Chess King, a $257 million division of the Melville Corporation. Throughout her corporate career, she created opportunities for advancement for female executives and mentored women in business, both professionally and as a volunteer. Her personal commitment to advancing social good led Judy to the nonprofit sector as the Senior Vice President of Revenue Development and Marketing at the March of Dimes Birth Defects Foundation and then President and CEO of Big Brothers Big Sisters of America. Judy’s innovative leadership has garnered broad recognition. 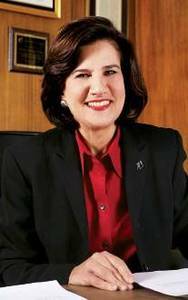 She served on President Obama’s Office of Faith Based and Neighborhood Partnerships Advisory Council, was a member of the University of Pennsylvania Board of Overseers, and on the Board of Directors of Independent Sector. She was honored as one of The NonProfit Times’ Power & Influence Top 50 of 2012 for her transformational approach to the organization’s vision and management. Judy holds a BA from the University of Pennsylvania and an MBA from the State University of New York, Buffalo. She holds honorary degrees from Lynchburg College and Philadelphia University. ‘Minority health today is inescapably linked with the issue of childhood obesity. While almost a third of American youth are overweight, nearly 40 percent of African American and Latino children are overweight or obese. We cannot afford either the loss of their futures to the myriad of health issues linked to obesity or the potentially crippling impact on our healthcare system. National Minority Health Month provides the ideal opportunity to discuss solutions grounded in respect, positive motivation, and the idea that new habits can be consistent with one’s culture. With a service population of nearly 70 percent girls of color, our Girls Inc. Mind+Body Initiative gives girls knowledge, skills, and motivation to form and maintain a healthy, positive sense of self. We want all girls to grow up able and driven to promote their well-being and that of their families. We also understand that cultural considerations are incredibly important when it comes to health—and especially nutrition. We partnered with MetLife Foundation to promote healthy decisions and lower obesity in communities nationwide. Our goal was to encourage small, everyday actions building into lifestyle changes. The resulting guide emphasized realistic steps and solutions, such as healthier preparations of favorite traditional dishes and a cost comparison of affordable fresh foods to pre-prepared or fast food counterparts. Judy Vredenburgh, Girls Inc. President and CEO from Girls Inc on Vimeo. Your membership in the Girls Inc. Corporate Empowerment Circle serves as an example of your philanthropic commitment to improve the lives of girls and aligns your organization with a significant cause — to empower girls to break down stereotypes and build their self-confidence. Through the skills girls gain at Girls Inc., today’s members are poised to become the next generation of doctors, scientists, CEOs, and entrepreneurs. We invite you to join us through your support and become part of the Girls Inc. family. For additional information about our Corporate Empowerment Circle benefits, please contact Leslie Renner, at (212) 509-2000 ext. 239 or lrenner@girlsinc.org. welcomes this woman leader into our global alumni with open arms, embracing the positive change she brings to our world, through our girls.